No one wants to be a "C" student, especially when that grade reflects a topic that has such important implications for your financial future. As part of the POPSUGAR Insights 2017 Personal Finance Report, we surveyed nearly 2,000 women between the ages of 18 and 44 to ask them how they manage their finances and think about their financial future. 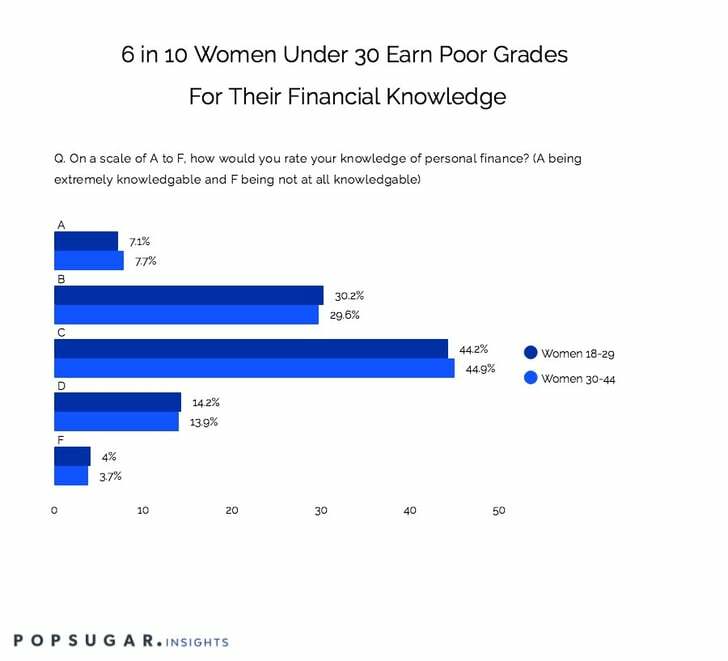 Overall, 62% of women would grade themselves a "C" or worse when it comes to their knowledge of personal finance, with only 7% of women giving themselves an "A" grade. The percent of women under the age of 30 and between the ages of 30 to 44 who give themselves a grade is very similar, regardless of the actual grade, showing that financial knowledge is not wildly different, regardless of age or life stage.